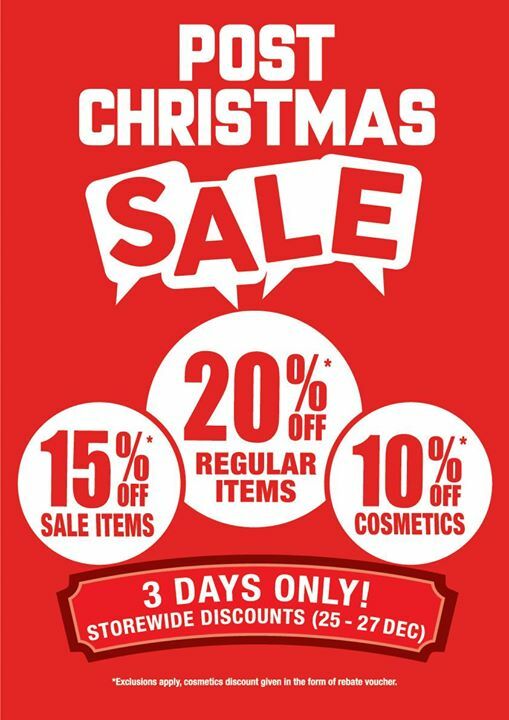 Enjoy Storewide Discounts, 20% off Regular Items, 15% off Sales Items and 10% off Cosmetics from 25 Dec to 27 Dec at all BHG Stores!! Previous: [Sasa Singapore] Merry Christmas! Next: [N20 NAIL SPA] N20 Nail Spa – New Nail Art Design for your Weekend.